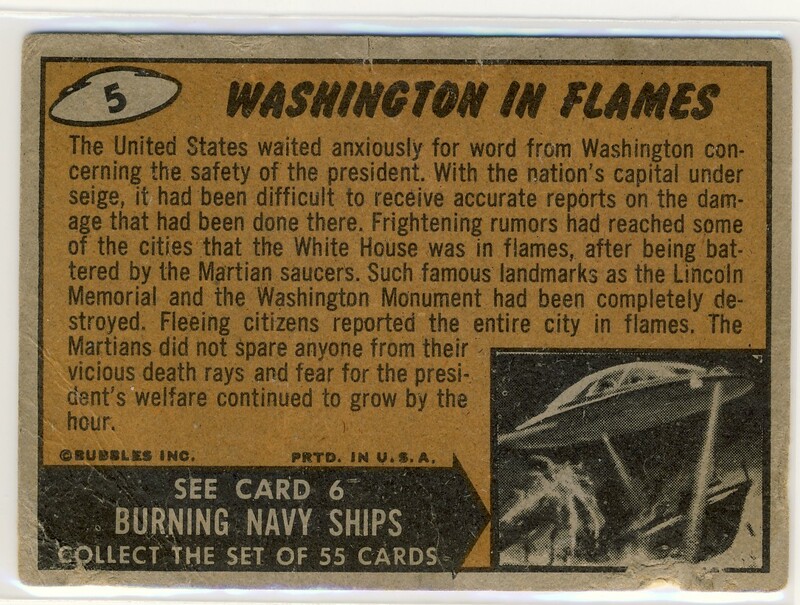 For quite some time I had listed in my "Short Term Collecting Goals" on the right side of the blog "any 1962 Mars Attacks card." This was more of a reminder to do an eBay search every once in a while for card that fits my price range as copies of any of the cards in good condition are easily three figures and a very high graded copy can go for several hundred. I'm happy to say that I finally pulled the trigger on two cards, one of which has arrived. And all this was before Topps announced they are doing a 50th Anniversary of the Mars Attacks set. Due in July, the set will mainly be a re-print of the original 55 cards plus 25 more cards, bring the series to 80. 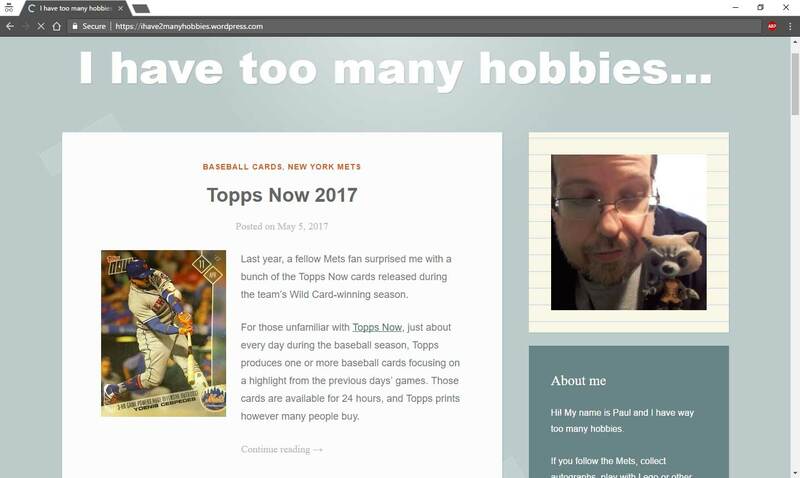 At first I was a little more than frightened about those additional 25 cards given Topps reputation of not always playing things straight in terms of honoring the original subject. I'm thinking of a card with a martian getting a pie in the face by a Marine. But it sounds like Topps is treating the set with a lot of respect. Ten of those 25 cards are actually based off sketches made from the original Mars Attacks artists that never made it into the set. The other 15 cards are new creations by John McCrea who will be the illustrator on the new Mars Attacks comic book series. I am also relieved that they are printing the cards on the same card stock as Heritage. 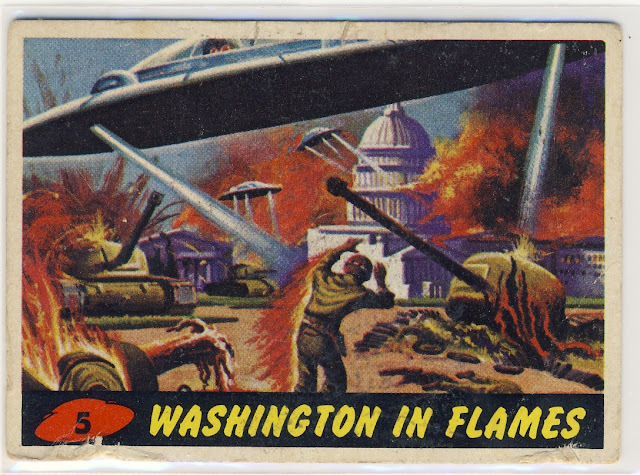 I'll post my next Mars Attacks card when it arrives. 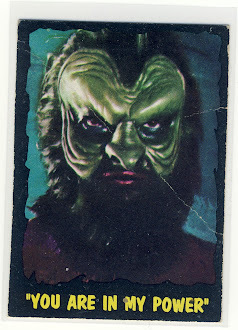 Congrats on getting an original "Mars Attacks" card within your budget. I have been avoiding trying to get any for their high prices and I refuse to fall for individual reprints from the 1980s or was it 1990s? The Anniversary set, however, with it's extra cards sounds interesting. I might look for it. Hmmmmm. 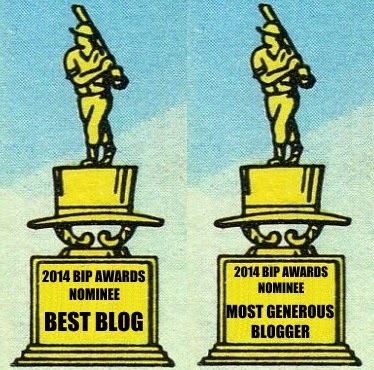 Those are cool. Once at a card show I saw these and totally misunderstood, thinking the set was $60... that was just for one card! ... this text I'm supposed to enter in to prove I'm not a robot... it has a Pi character... that's a first!